We are almost done with lots of things. Rebekah and I have one more week of school for the semester. Jenna and Lauren will be finished with their semesters the second week of December. We have moved all but a couple of odds and ends out of the old house into the new. And of course, 2018 itself is winding down. It was great having the girls home for Thanksgiving. 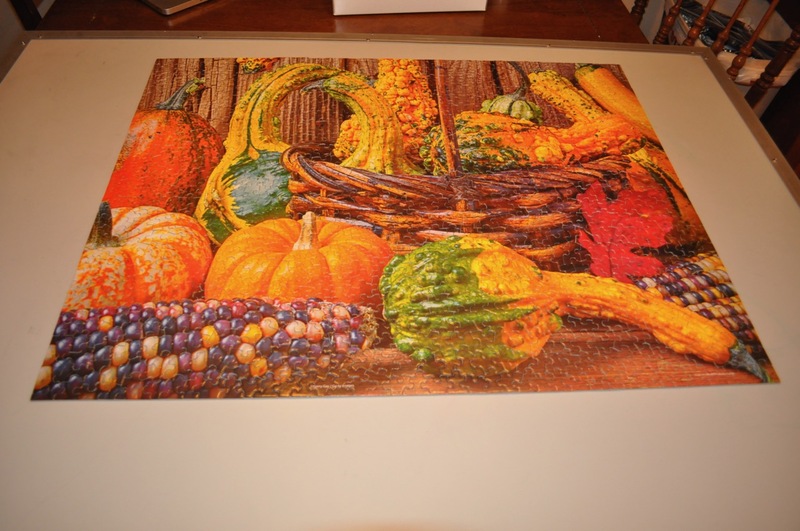 The traditional Thanksgiving puzzle was completed. 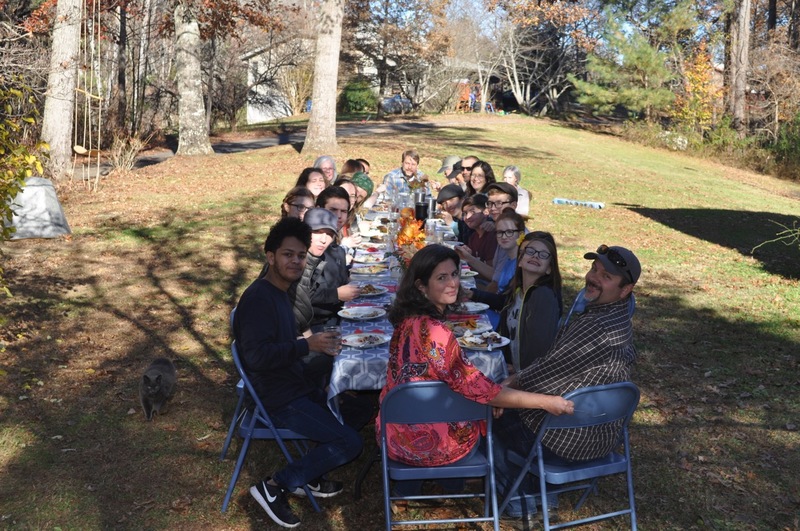 28 folks from church gathered at our neighbors for Thanksgiving lunch. The day was beautiful, and we were able to enjoy our meal outside. 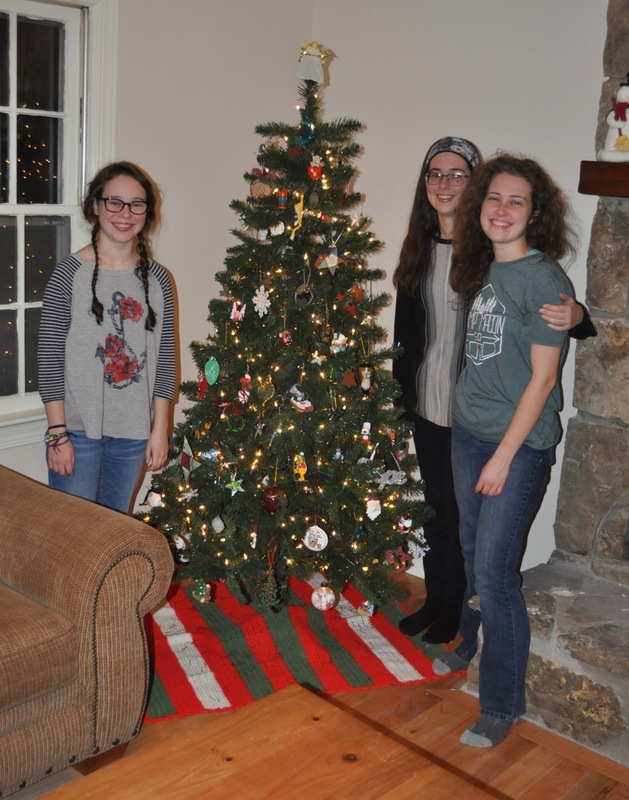 And of course, we decorated or Christmas while the girls were in. What we are not almost done with is unpacking. There is still one room in the basement that needs finishing out, then we can relocate a rather large quantity of boxes, shelves, and books out of the main room in the basement so that it can be used. Hopefully, all that will be finished by the time the Baileys come for their post-Christmas visit. 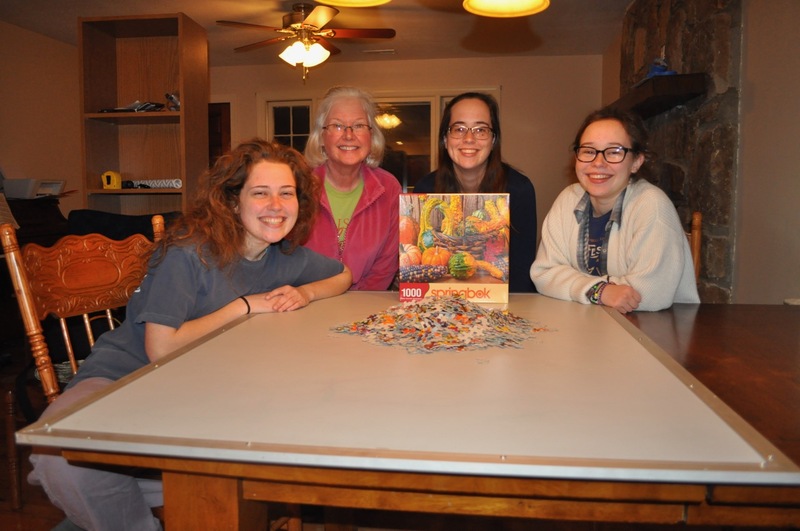 This entry was posted in Celebration, Christmas, Church, Classical Conversations, College, Community, Family, Food, Friends, Holidays, Neighbors. Bookmark the permalink.